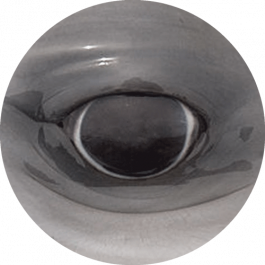 We are aware of at least two other cetaceans who have passed through CRAM-Q and have suffered. However, this facility isn't the only one that rescues cetaceans. World-wide, at least 13 species of cetaceans have been 'rescued' and then used in commercial facilities - in shows, swim-with programs, for trading or for breeding (their offspring can then be traded). See the section on Morgan's Law (on our OBJECTIVES page) for details about our support of the EU-wide law to prevent this. 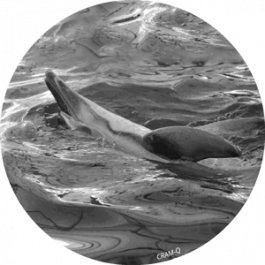 As outlined in 'Martinha's Story', Barra was another common dolphin rescued by CRAM-Q. She was found entangled in a net, near Barra Beach, Portugal, hence her name. Shortly after reaching the rescue centre, Barra, who was pregnant when she arrived, miscarried. We can find no details regarding the age of the foetus nor what provoked the miscarriage. Obviously, the stress of entanglement, the rescue and/or the transport can’t be excluded as contributing factors. Barra was placed into the tiny concrete tank with Martinha. Although providing each other company, this tank was unacceptably small for a single dolphin and the bio-loading from the dolphins' excrement created a situation where the filtration system could not cope. CRAM-Q kept Barra in a 'temporary' medical tank (inside), until July 2013 (over half a year). Eventually, she was moved to the larger pool with Martinha. 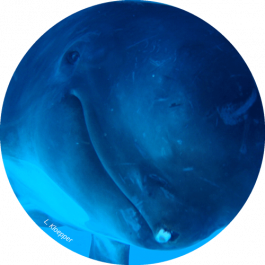 During her time at CRAM-Q Barra repeatedly rubbed her pectoral flipper edges and the tip of her rostrum on the walls of both tanks. These types of wounds are indicative of poor welfare. Just like Martinha, Barra was at some point classified as un-releasable due to 'health issues' similar to Martinha (liver and colic problems according to facebook statements by CRAM-Q). However it is stated in a report released by the Portuguese Environment Ministry, 29 January 2019, that "As soon as the CRAM-Q technicians were able to reverse muscle damage and ensured that the female was able to swim freely without help or outside support, she was transferred to the same pool where Martinha was already, in an attempt that the younger animal ("Martinha") learned from the oldest female ("Barra") and so that the two dolphins could be released together." Barra remained in the facilities of CRAM-Q for nearly 2 years and according to the Ministerial report, she never fully recovered from the problems that led to her impudence, and despite all efforts, died in September 2014. When searching online, we found this image of at least one dead dolphin (possibly up to seven dolphins) in the freezer at CRAM. The one at the top appears to be a common dolphin. Could this be Barra? Could this be Martinha? Without transparency, we simply don't know. 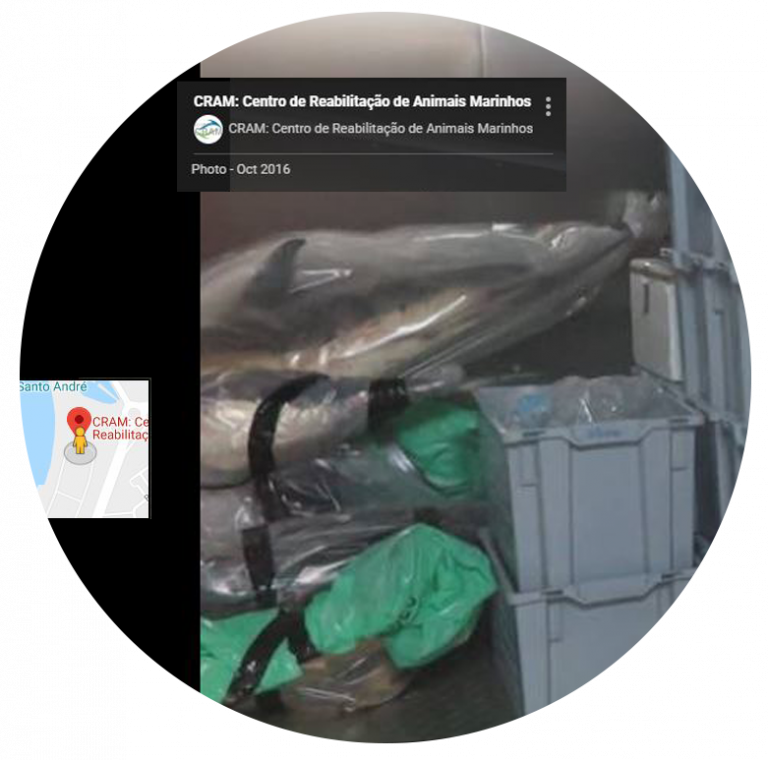 The photo is dated 'Oct 2016', which is within the time-frame during which Barra disappeared and also our last evidence that Martinha was at CRAM-Q. Please note that we fully support science and the knowledge that is gained from necropsies (animal autopsies) however, it is unclear from this photo where these dolphins came from. A juvenile male long-finned pilot whale, called Nazaré, was rescued after a stranding at Nazaré Beach, north of Lisbon, Portugal, on 27 August 2006. Just like Martinha, Nazaré belonged to an extremely social species, but in this case would grow to a size that CRAM-Q could not hold (reaching over 6m in length). 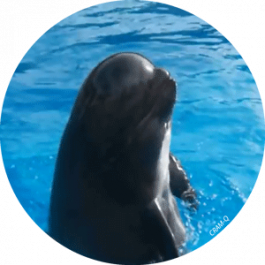 In November 2006, they shipped him to the Lisbon Zoo, where he performed three times a day, every day of the year, in the commercial shows at the dolphinarium. Nazaré developed 'stereotypies' (abnormal repetitive behaviours), which resulted in self-harming wounds on the tip of his rostrum. 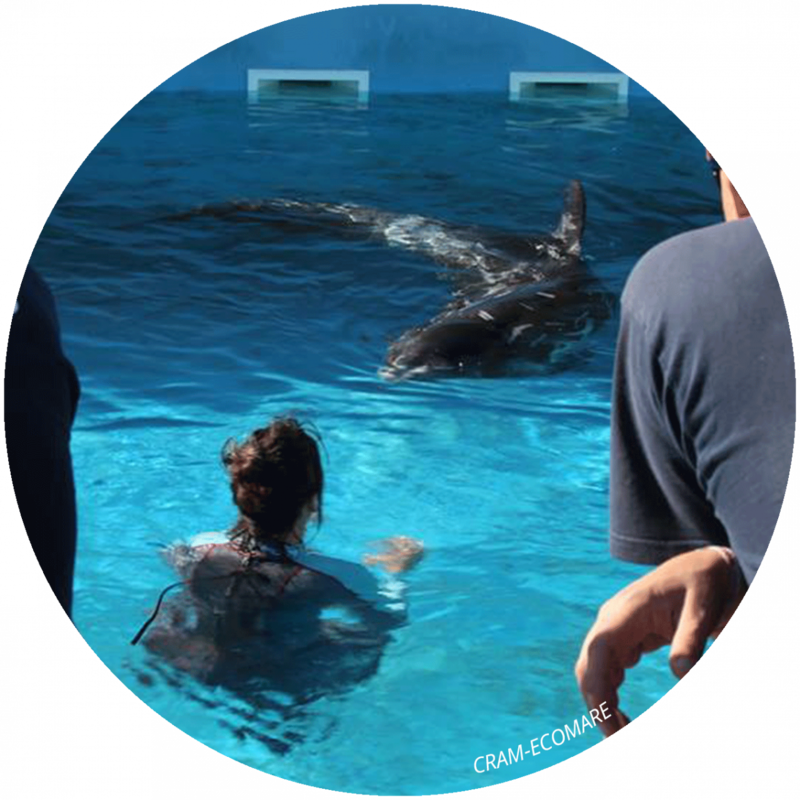 These types of behaviours are rampant in captive cetaceans. 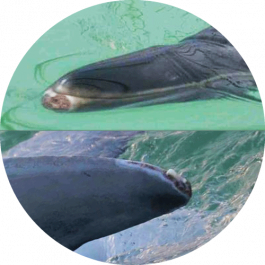 During testing of Nazaré's hearing, it became apparent that he could not hear in the normal upper ranges expected for this species, despite his youth (as with all mammals, older cetaceans lose some of their hearing). Investigations of his medical records showed that he had been treated with antibiotics, which are known to cause hearing loss in some cetaceans treated with these drugs. In 2009, Nazaré died at the age of only 3 years. The necropsy did not establish a cause of death. In September 2017 Cram-Ecomare were involved in a rescue on the island of Berlenga. 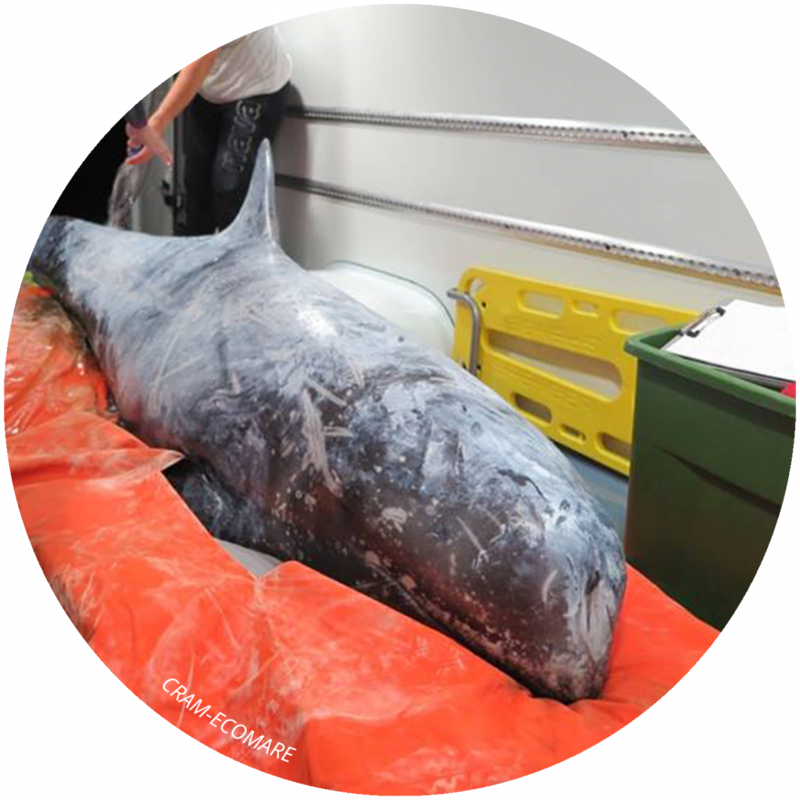 According to their social media, a Risso’s dolphin (Grampus griseus) was assessed by their on-site team and then transported to the Cram-Ecomare facility. There he was placed in a stabilisation tank in the intensive care unit, he was named Gonçalo. One week after Gonçalo was rescued. Cram-Ecomare announced that he had some "mobility problems arising from the muscle damage associated with strand-ing. Clinical analyses have revealed a serious infection and liver damage being treated". They also posted video of Goncalo eating and swimming. 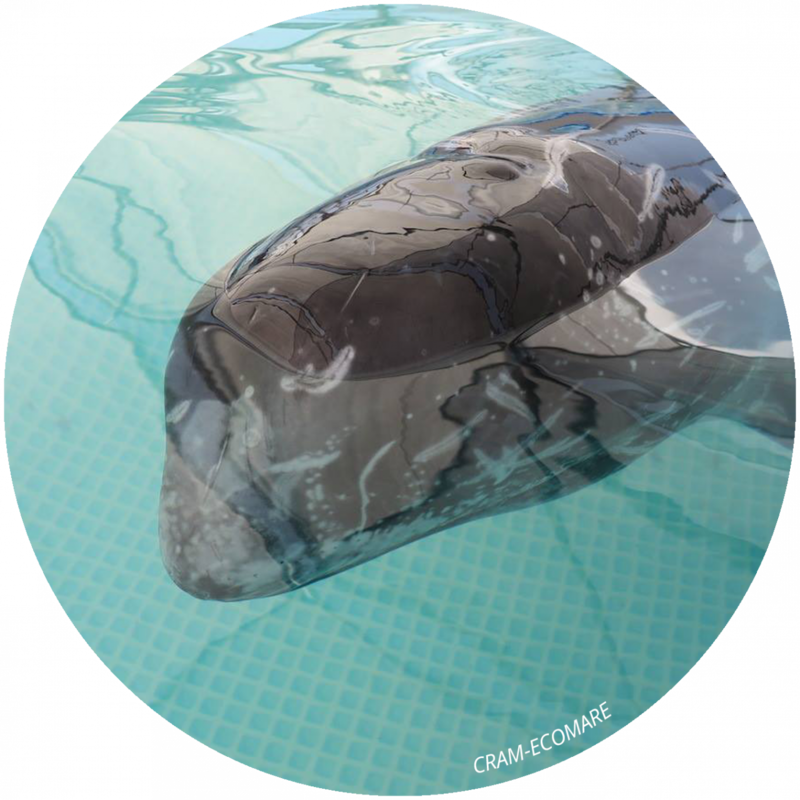 Almost one month after his rescue Goncalo was reported to weigh 350 pounds and 2 months after that on 8 November 2017, Cram announced that he was moved to bigger tank in the open air. His blood tests showed a "positive development of the health problems". Our coalition has been unable to find any further publicly available information about Goncalo since the November 8 social media post made by Cram-Ecomare. Sadly our sources have told us that Goncalo died during his rehabilitation at Cram-Ecomare and that the main cause of death was from a "parasitic disease". 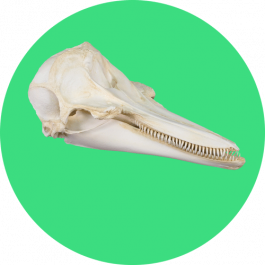 According to the CRAM-ECOMRE web site, Bones was a adult male common dolphin that stranded on 'Bear's Bone Beach' in June 2016. They state that he was weak when found and may have been entangled as he had "accidental catch marks by nylon nets", as well as 'muscular and respiratory damage'. CRAM-ECOMARE states that after 53 days of treatment he was released. We have no information as to the survival of Bones, we hope he did. Note that his dorsal fin was covered by a towel during the transport, which can lead to overheating and stress. 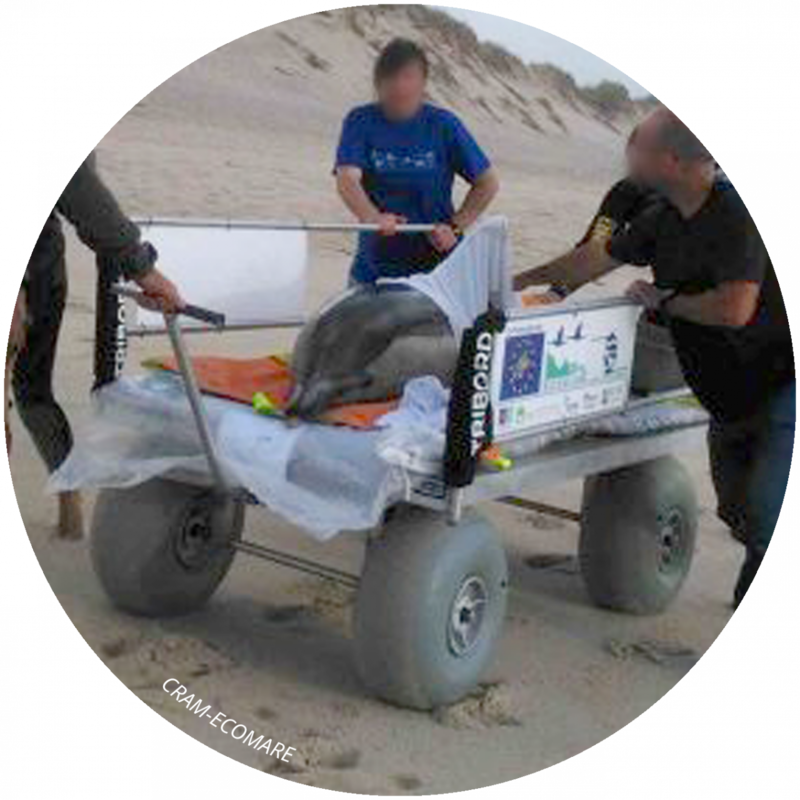 CRAM'S video of Bones rescue, rehabilitation and release can be viewed here.